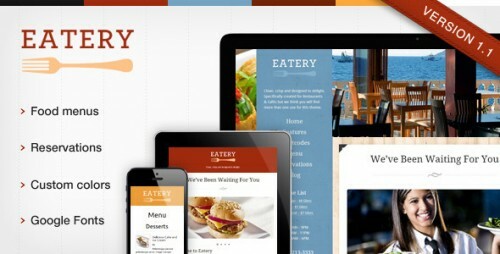 Now-a-days, the restaurant WordPress themes have become significantly popular and there have been many cafe owners who are creating impressive websites with help of the WordPress CMS. 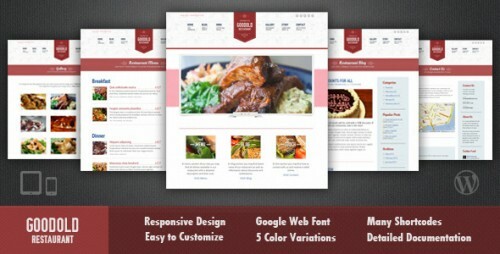 It is even tougher for restaurants to choose a WordPress theme because each restaurant is different and unique in its own way. There are many WordPress themes available on internet which can be modified to have a customized website for budget price. 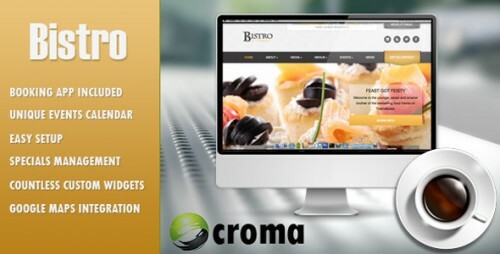 Today I have collected some of best premium WordPress themes that are designed specially for restaurants, cafes and bars. 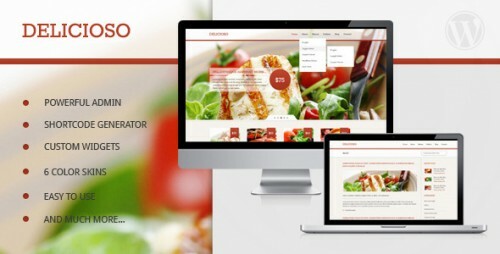 This is a collection of WordPress themes for restaurants, cafes, pubs, coffee shops, and other food and beverage websites. 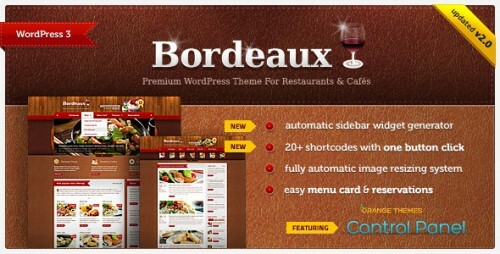 Hopefully, there are excellent choices of free and premium restaurant themes available with WordPress. You may be interested in the following posts: corporate themes and photography themes. 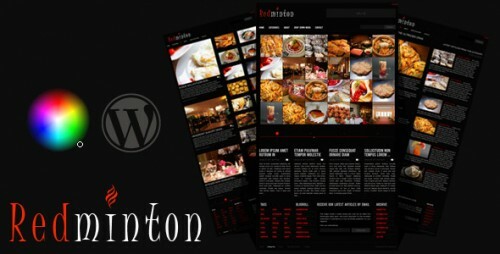 Bistro wordpress theme is a highly requested feature for restaurants, cafes and any business looking for a responsive design. 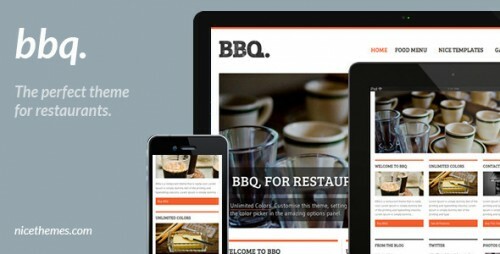 BBQ, the perfect WordPress theme for any cafe, pub, bar, restaurant or local business. 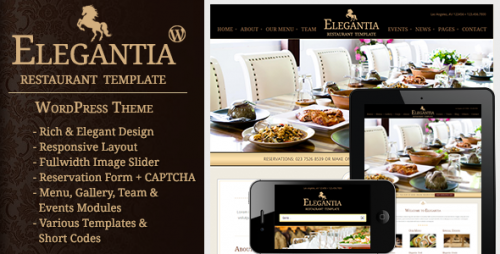 Elegantia is a premium WordPress theme for Restaurants & Cafes. 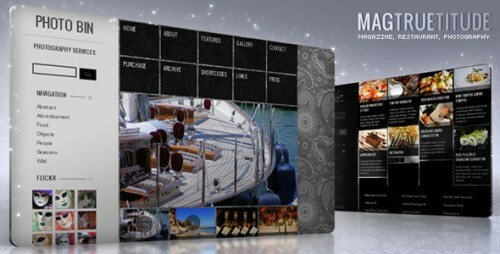 It has many features that are required in a restaurant business. Clean, crisp, and designed to delight. 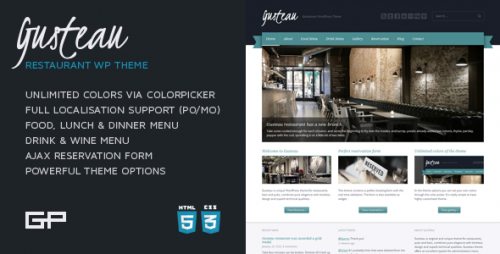 Though specifically created for restaurants & cafes, we think you will find more than one use for this theme. 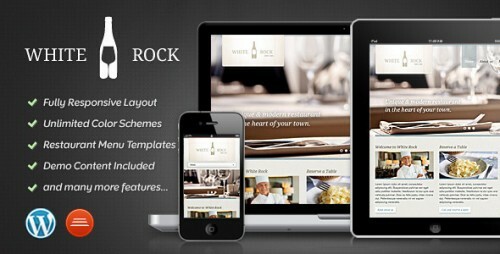 White Rock is a great modern responsive Restaurant WordPress Theme to make a great first impression to your Customers. 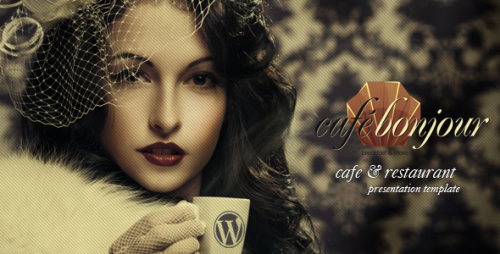 The template has a classic style favor, it’s vintage looks making it suitable for classy, exquisite caffeterias, as well as luxury and exclusivity restaurants. Mata’am is a very powerful theme with many features easy to edit for both, users without programming knowledge and for developers. 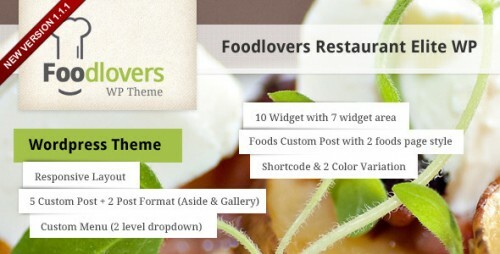 This is WordPress version of my Foodlovers Restaurant Elite template with 2 variations color. This theme supports custom menu and 7 widgetized areas and featured images. 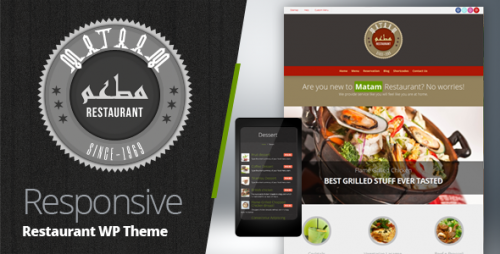 Goodold Restaurant is a WordPress theme for restaurants, cafe, bar and other food and drinks related company. 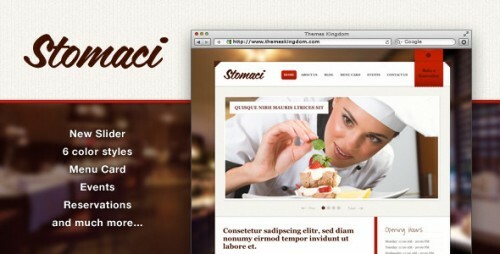 Stomaci gives a rustic design that is sure to impress your visitors, with its unique combination it is suitable for every cozy, old stylish family restaurant as well as modern cafe. 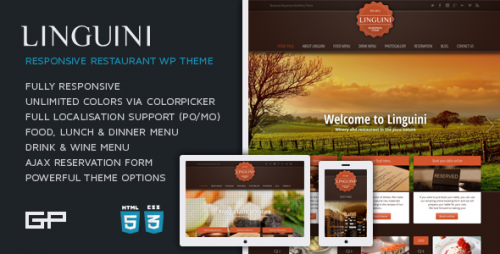 Linguini is a theme perfect fit for the restaurants, pubs, bars, wineries and other companies offering foods and drinks. 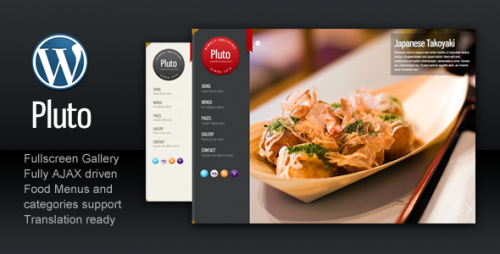 This WordPress customizable theme is build for your restaurant, catering or nightclubs online presence, but also for photography fullscreen websites, creative portfolios, blogs and online magazines. 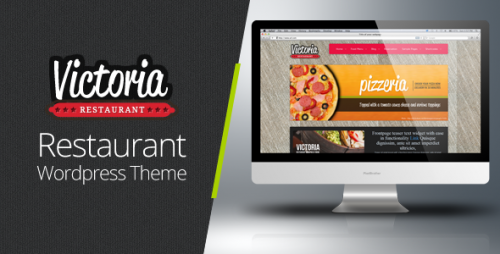 Victoria is a very powerful theme with many features easy to edit for both, users without programming knowledge and for developers. Gusteau is an original and unique theme for restaurants, pubs and bars, combines pure elegance with timeless design and superb technical qualities. Beautiful, pixel-perfect design and easy to use Orange Themes Control Panel makes this WordPress theme one of the best in business.